Many years ago I lived in Sydney, so when I was told that cuisine in South Africa was currently undergoing the same kind of culinary revolution that had helped forge Australia’s vibrant restaurant scene some 15 years or so ago, I was only too keen to head south and find out whether the Cape Province could cut the mustard. On paper, of course, South Africa and Australia have as many things in common in terms of food as they have differences. 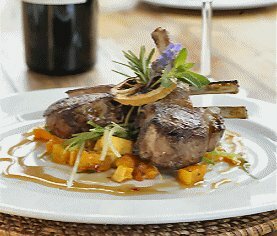 Not only are both hot, dry antipodean countries whose coastal climate is tempered by the cooling influence of the ocean and for whom farming has been of paramount importance until relatively recently, the two countries also have a diverse cultural heritage that should inform the style of food served in its restaurants. In Australia, for example, English, Greek and Italian influences are married with those of the country’s Asian neighbours. South Africa can draw on Northern Europe, Africa and the culinary impact of the Malay traders who visited its shores on a regular basis. That was the theory, anyway. The following reviews focus on a handful of restaurants I visited in the Cape over the course of a week. Although this isn’t an exhaustive list of the establishments I visited, I feel it’s representative of the very best of the region’s culinary scene and some of the most disappointing. 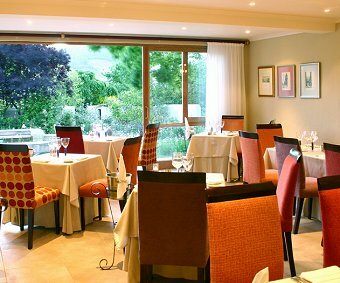 My first dinner, at Franschhoek’s renowned Quartier Français restaurant (16 Huguenot Road, Franschhoek, tel +27 21 876 2151), didn’t disappoint. 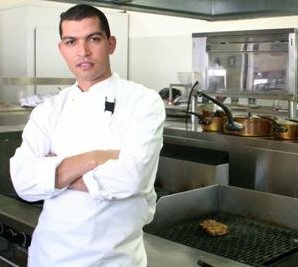 Chef Chris Erasmus’ menu runs to some 22 dishes, from which you can choose to have a four-course dinner (for 310 rand – about £22.50) or a six-course blowout (for the princely price of 390 rand, just over £28). Perversely, my companions and I settled on a five-course meal.A black bean and chilli porchetta was accompanied by tangy vegetable pickle and a fennel marmalade, while a risotto of crisp-skinned reds (a local fish), mussel and chorizo risotto (with a crayfish lollypop) had that rich, creamy texture of perfectly cooked rice. I enjoyed a dish of duck breast with sweetcorn frittes and prosciutto salad, while a friend said his roast warthog loin with honey-roasted apple and almond milk was sublime, one of the best things he’d tasted in recent months. A swissland drakensberg (a local cheese) brûlée with pickled baby beets and plums was a delicious combination of sweet and savoury flavours. I’d have liked to have tucked into a banana and fudge cheesecake and vahlrona sorbet for a pudding, but while the spirit was willing, the flesh wasn’t quite up to it after the gastronomic blowout, so I settled for a lighter dish of iced nougatine with an orange blossom jelly – quite piggy enough, under the circumstances. Given that my meal was hosted by some of the crew from the Graham Beck winery, it was hardly surprising that we sampled an extensive range of their slick, well-made wines throughout the meal. Had I been there purely for pleasure (rather than mixing it with business, as I was on this occasion) I’d have found plenty of options in the restaurant’s exemplary wine list. The list starts with a section on finding wines to match particular flavours – for instance, it recommends a Fairview Viognier or Cederberg’s Bukettraube (a local variety with lots of aromatics) to accompany porcini, truffle and parmesan flavours while Bordeaux blends from Rupert & Rothschild or Môreson are the suggested pairings for smokey bacon or smoked game birds. Move beyond the specific suggestions and you’ll find plenty of South Africa’s best wines listed by grape variety, and each listing has an accompanying tasting note. In addition, there’s a brief selection of overseas wines on the list – and they’re not the usual suspects (although there is the almost-requisite page of champagnes). Prices range from about 35 rand (just over two quid) for a Vrede en Lust rosé to 2,000 rand (an eminently reasonable £145) for a magnum of 1982 Delheim Grand Reserve. The young – and rather gorgeous – chef Reuben Riffel’s restaurant, Reuben’s (Oude Stallen Centre, 19 Huguenot Road, Franschhoek, tel +27 21 876 3772), is just across the road from Quartier Français, but a world away in terms of style. There are echoes of the gastropub in the relaxed, informal setting – a high-ceilinged room and a sun-filled, flowery courtyard. Of all the restaurants I ate in while I was in the Cape, Reuben’s most lived up to my expectations of finding cultural culinary influences blended with the very best local produce. Dishes like Blue Bay mussel laksa and a rack of lamb marinated in Middle Eastern spices, served with aubergine and youghurt showed off the impeccably sourced ingredients to the fullest. A good, inexpensive wine list completed the picture. I’d been looking forward to dinner at Tokara (near Stellenbosch, tel +27 21 808 5959). Chef Etienne Bonthuys is one of South Africa’s most highly regarded chefs. Cocktails on the terrace at sunset were something of a curate’s egg, however – the view across the hills of Stellenbosch was stunning, but the bar’s inability to mix something as simple as a Bloody Mary didn’t bode well. And, indeed, the evening went downhill from there. A curiously dated, 70s-style menu – spinach, mushroom and blue cheese salad for starters and Norwegian salmon with broccoli and Bearnaise sauce – was cooked to 70s-style standards. The wine list was, in South African terms, relatively expensive and lacked inspiration. Things picked up with dinner at 96 Winery Road (off R44 between Stellenbosch and Somerset West, tel +27 21 842 2020), a joint venture owned by winemakers Ken Forrester and Martin Meinert and chef Kathy Romer-Lee. Both the atmosphere and the décor of the place were warm and welcoming, and a menu of quality ingredients simply prepared played to local strengths. A starter of deep-fried calamari with black bean sauce was delicious in its simplicity, while a massive hunk of sirloin steak, matured in the restaurant’s own cold store, was served with a choice of sauces (I opted for an Asian salsa of ginger, lemon, coriander and chilli) and served to tender perfection. Given the ownership of the place, a superior kind of wine list is only to be expected – and 96 Winery Road certainly delivers. My last dinner in the Cape, at the trendy Cape Town sushi joint Wakame (corner Beach Road and Surrey Place, tel +27 21 433 2377) was a let-down. It wasn’t that it tried too hard and failed to deliver – more like it hardly tried at all. Given Cape Town’s proximity to the ocean, I’d rather expected the sushi to be more exciting than a rather tired and predictable roll call of tuna, salmon and prawns. A main of seared tuna with wasabi mash lacked any discernible wasabi punch and the room reeked of a cooler-than-thou attitude, which emanated from both the staff and the clientele. Looking back, my culinary adventures in the Cape were very much a mixed bag. While some restaurateurs and chefs have successfully managed to fuse the wealth of local ingredients with their cultural heritage, combining these factors in a way that appeals to the modern diner, many more have clearly not had the exposure to what’s going on in contemporary kitchens around the world. South Africa is still recovering from the years of isolation imposed on it by the world’s reaction to apartheid, and it shows in the country’s restaurant scene, which has a long road to travel until it reaches its full potential.